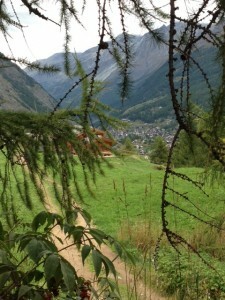 Zermatt Switzerland Offers Plenty Of Excitment All Year Around. Just the name Switzerland conjures up thoughts of mountains, snow; beautiful people and a great lifestyle. A quintessential Swiss town right out our minds imagination becomes a reality when you visit Zermatt home of the legendary Matterhorn. Arriving refreshed at Zurich airport pampered at over 40,000 feet by Edelweiss Air, we boarded our train at the airport and with typical Swiss precision we arrived early in the car free village of Zermatt and walked to our Chalet at Hotel Schoenegg. Our short walk took us by quaint shops, cafes and a small rambling river that runs through the center of the village. Are we in a movie? Are we still dreaming at 40,000 feet? No, we are working in a dreamland and excited to see what this historical village has to offer. It’s hard to imagine this perfect picturesque village has evolved from a poor farming village into a modern world class destination where celebrities go to “get away “no matter what time of year it may be. Zermatt is at the foothills of the Matterhorn which was first summited on July 14th 1865 by Edward Whymper and caused quite a clamber around the world. Looking out at this majestic mountain every morning at sunrise and we can see why. 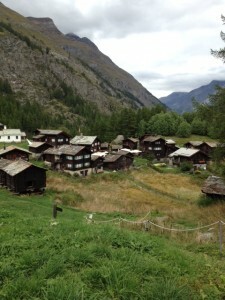 Zermatt is a very special place and quite distinguished in its own right. It is the home of Europe’s highest cable car at 3,883m and in the same beautiful thin air you will find Europe’s highest restaurant and the hotel Kulmhotel Gornergrat at 3100m. Walking the cobble stone streets in this car-free town we could not help but enjoy the clean fresh air that Switzerland is legendary for. We highly recommend exploring, tasting and sipping in the villages over 150 bars and restaurants to get a real flavor of unique Zermatt. Walk through the old section of town and look for “The Little Bar” located down a narrow stairway in a building has been around over over 400 years and partake in some locally made swiss wine and of course beer. Don’t be shy! Engage in conversation with a local resident. They are actually quite friendly and may even challenge you to a drinking game. Let it snow, let it snow! In Zermatt you are guaranteed snow 365 days a year! In the winter months Zermott features Europe’s longest descent for skiers. This 25km run takes you from the Matterhorn glacier paradise right to Zermatt and you an even ski to Italy. In addition , partake in some winter hiking in the Alps with over 70km trails that will provide stunning views and fresh air well has world class cross country skiing and tobogganing . The snow melts and the days become longer as the summer months arrive and there is still much to do in this alpine paradise. Enjoy a nice game of golf or jump on your mountain bike and explore over 100km of trails. Summer adventures also include the option to climb over 38 mountains with peaks over 4,000m all of which can be climbed from Zermatt. This little jewel in the Alps year after year in highly rated in restaurant guides has the highest concentration of gourmet restaurants in the area offering local gastronomic delights to Asian fusion cuisine. Please your palate and enjoy tasty Mediterranean-Alpine fusion and a barbecue over an open fire pit with a view you will never forget. 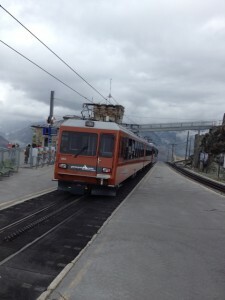 Just a few hour train trip from Zurich, Zermatt is worth a visit for a few days no matter what season it may be. 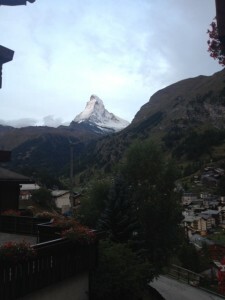 As they say in Switzerland, “Zermatt . No matter what “. We could not agree more. 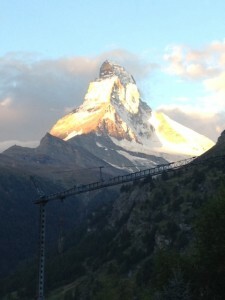 In July 2015 Zermatt will be celebrating the 150th anniversary of the summiting of the iconic Matterhorn. Can you think of a better time to visit? See you then! Las Vegas gets spooky and fun on Halloween. 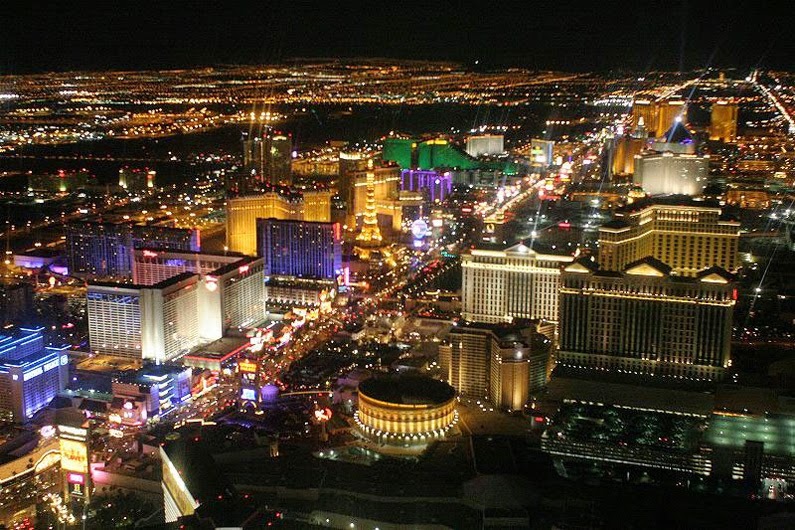 On and off the Strip, there are many events to choose from. Where else would you rather be than in Las Vegas this Halloween. The renowned Strip is full of ghosts, goblins and a wide variety of interesting costumes. On the strip or off, All Hallows Eve 2014 has something for everyone. 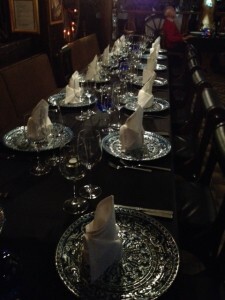 There are numerous parties all over town; many are for adults only and on the risqué side. Taking the top spot would be the Fetish & Fantasy Ball at the Hard Rock Resort. Over that the Palms, you can’t miss the Night of the Killer Costumes and the Haunted Hotel Ball at Mandalay Bay. If you want to compete for some big bucks, create your original costume and enter contests at most of Las Vegas's legendary night clubs. Off the strip there are many haunted houses that can be quite entertaining. The Asylum has been in operation for 14 years and can be found in the downtown district of Las Vegas. Bloody English is at the Hard Rock Hotel & Casino’s Body English club and is always a fun experience. It’s not all just about adult only activities on this scary night, there are plenty of family friendly events as well for kids of all ages. Who does not like a parade? The Las Vegas Halloween Parade marches along Freemont street downtown. The Springs Preserve in the center of town features their annual Haunted Harvest where guests can enjoy a petting zoo, carnival games, a haunted house, and trick-or-treat stations. Las Vegas even has a Haunted Reef for all to enjoy. Shark Reef at the Mandalay Bay transforms into a swimming, spooky time. Chef Kim Canteenwalla and Elizabeth Blau behind Honey Salt and Made L.V are at it with yet another Summerlin dining venue. The dynamic duo has announced they will be opening their fine dining concept Andiron Steak and Sea in the spring of 2015 at Downtown Summerlin. The Las Vegas culinary genius, husband and wife team Chef Kim Canteenwalla and Elizabeth Blau behind Honey Salt and Made L.V are at it with yet another Summerlin dining venue. The dynamic duo has announced they will be opening their fine dining concept Andiron Steak and Sea in the spring of 2015 at Downtown Summerlin. 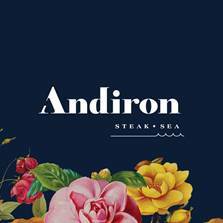 Andiron Steak & Sea will not be what you would expect from ‘traditional steakhouse’ concept in both menu and design. This venue will be bright, inspired by fresh, summertime meals grilled outdoors with a focus on premium meats, shellfish, seafood and lighter, seasonal market sides. For those who have dined at their current concepts we know that this is how this team “rolls”, using only the freshest ingredients from land and sea. “We’re incredibly excited to announce Andiron and expand to another level of dining in our city. I think diners will find it to be an entirely different experience from a typical ‘steakhouse,’ and it will surely become a destination restaurant,” said Blau. The focus of Andrion will be a wood-fired grill that is center stage . At the helm will be Honey Salt Chef Joseph Zanelli leading the kitchen as Executive Chef and Stephen Jerome assuming the General Manager role. Both Zanelli and Jerome have been a part of the Blau team since 2012 and are managing partners of the restaurant group that oversees operations of Honey Salt and Made L.V., as well Andiron. Not leaving any detail overlooked, they have selected designer Thomas Schlesser’s Design Bureaux, Inc. (DBGB Kitchen & Bar, Blackbird, David Burke Kitchen, Má Pêche) to design Andiron Steak & Sea. The three-time James Beard recipient looks to create a bright dining room with light woods and floral patterns giving Andiron a feminine twist. We are never disappointed with anything Chef Kim and Elizabeth have created and wait with great anticipation to experience what we know will be yet another hit for this amazing team.